DIYARBAKIR, TURKEY. 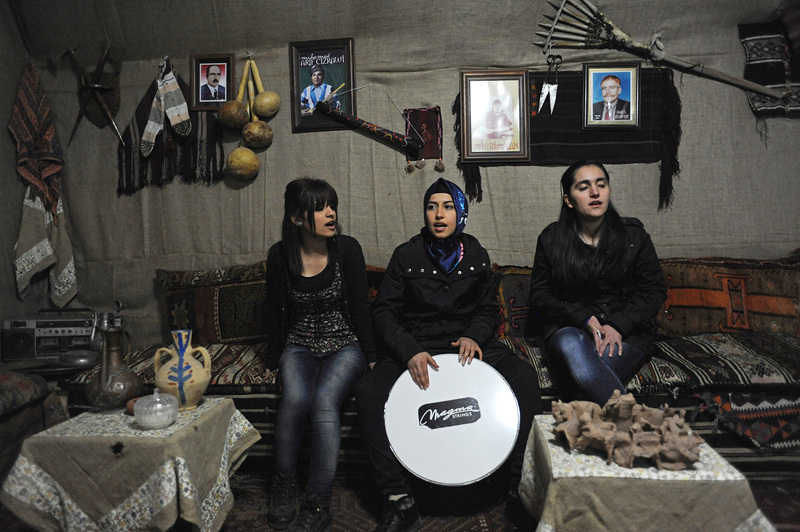 Young women sing Kurdish songs in the cafe of the Kurdish Cultural Center in Diyarbakir, Turkey on February 25, 2012. After nearly a century of forced assimilation policies in Turkey, many Kurds are standing up for their culture and language in a renewed bid for cultural, if not political, independence; only the Kurdish Workers' Party, PKK, has managed to successfully attacked the Baku-Tbilisi-Ceyhan oil pipeline.